What blessings do we have in Christ? There are certain blessings that all regenerate believers have in the spiritual realm. I’m part of a Facebook group that was just discussing how misused or misunderstood the words “anointed,” “favor,” and “blessings” are today. I think so many times we tend to think of blessings as immediate, physical, carnal, or temporal (in the here and now, which actually is temporary). But God’s idea of blessings are spiritual. 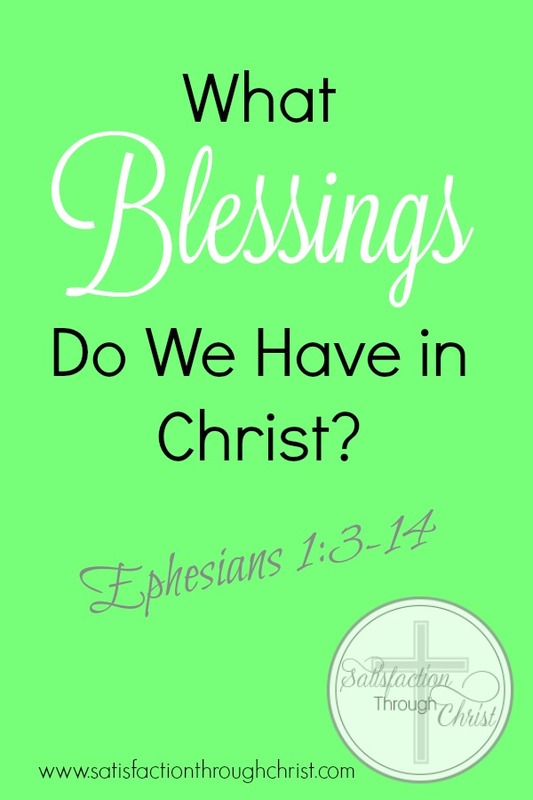 We are rich and blessed precisely because of the spiritual blessings in Ephesians 1:3-14. My husband and I are part of a small group at our church, where we are studying the book of Ephesians. I also started a women’s ministry on Facebook called, Tea & Scripture, where we are studying the Word. Since our small group is doing Ephesians, I decided to start with Ephesians with the ladies’ group, too. I had to share these spiritual blessings here as well! So what are our spiritual blessings? 9) we are sealed with the Holy Spirit living in us. By all this we can praise and glorify Him. No matter what happens in our physical lives, those of us who are regenerated by grace through faith in Christ have the utmost spiritual blessings. How awesome is our God! I hope this post meets you wherever you’re at today with a reminder that if you’re a believer, you have the biggest, richest blessings that ultimately count the most. Then go share the gospel that others might be spiritually blessed, too. Loved this! Christ is so good to us… He not only took our sin but gave us His righteousness. I got your blog off of the Grace & Truth Blog Group page and am trying to meet fellow bloggers!